Should any of the upcoming Black Panther sequels or spin-offs be directed by a white director? One well-known producer doesn't think so. The subject of diversity in Hollywood is a popular one right now. And movies such as Wonder Woman and Black Panther have become cultural phenomenons. The DC adventure was directed by a woman, with a female superhero in the lead. And the Marvel solo outing had a predominately black cast and filmmaker at the helm. Producer William Packer doesn't think that should change. Will Packer isn't shy about voicing his opinions when it comes to future installments in the Black Panther franchise. Perhaps his comments are controversial, others will feel he's dead on with his assumption. The man is responsible for giving us hits like Straight Outta Compton and Girls Trip. In a recent interview, Packer was asked if a white director, perhaps even J.J. Abrams, should step into the world of Wakanda for a future movie. Packer is quick to respond. "Nah. You gotta keep it with Coogler. Only way you switch it up with Cooler is if he doesn't want to do it. That's the only way. If he doesn't want to do it, you gotta get another melanin-infused brother, let me tell you that right now." Next, the interviewer straight up asks 'if a white dude' should ever do a Black Panther movie. Packer just shakes his head no, before offering this. "This is the one time where it hurts you to be a white director in Hollywood." Packer has a strong point, and the argument can be made either way about how right or wrong this idea is. Black Panther's first initial outing on the big screen was actually in Captain America: Civil War, which was directed by white filmmakers Joe and Anthony Russo. They helped set up and establish the world of Wakanda and its Prince T'Challa, giving him his origin story. The two Russo Brothers are also behind Black Panther's next appearance in the Marvel movie universe, as they are bringing a big portion of the standalone movie's cast back for Infinity War. So it's not like white directors are being excluded from using T'Challa and his pals. Black Panther is one of the most popular standalone movies in the MCU, and may even surpass The Avengers as Marvel's biggest franchise outing here in a couple of weeks. 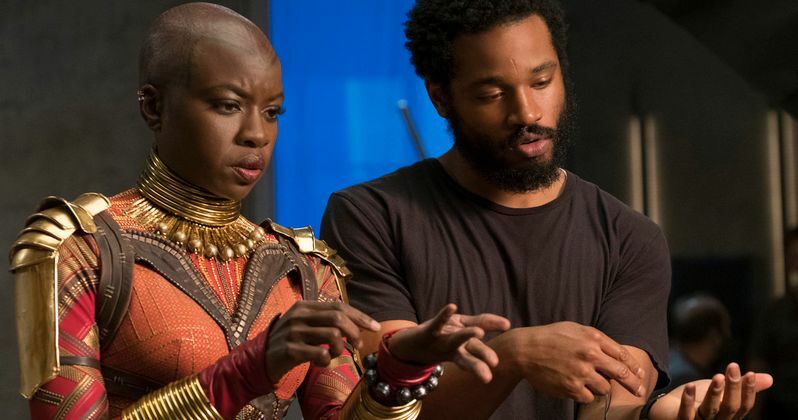 Marvel boss Kevin Fiege has already stated that he wants to bring original director Ryan Coogler back for Black Panther 2. It's also known that some of the secondary characters, like Shuri, could ge their own movie at some point. Shuri may even take over for Robert Downey Jr.'s Iron Man at some point. So should Iron Man 4 also have a black director if Shuri suits up? Sure, why not. As long as the filmmaker behind the camera is talented, it really shouldn't matter who they are at this point, right? TMZ was the first to report this latest Black Panther news. Mystery Marvel Movie Is Shooting in Australia Soon, What Is It?